Much in the same way it’s uninteresting to review a film by Hitchcock or Kubrick and describe it as good, it’s equally a statement of the obvious to describe a Terry Gilliam film as weird. And weird Brazil certainly is. It’s completely nuts (sorry). Brazil is about an ordinary but well meaning bureaucrat by the name of Sam (Jonathan Pryce) who exists in a bureaucracy so extreme as to be absurd. When he tries to make amends for an administrative error which results in a death, he gets on the wrong side of the law and is forced on the run. 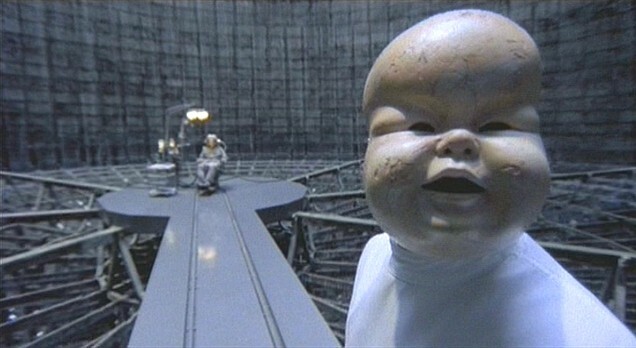 This is a Terry Gilliam film through-and-through, and if you like his other work you will probably enjoy this. For me it’s too cartoony and over-the-top to really invest in any significant way, and I found the persistent, exaggerated satire to be distracting. It also gives very little impression of the society in which Sam lives beyond his small sphere of bureaucracy, with no real impression of the nature and brutality of the government given. 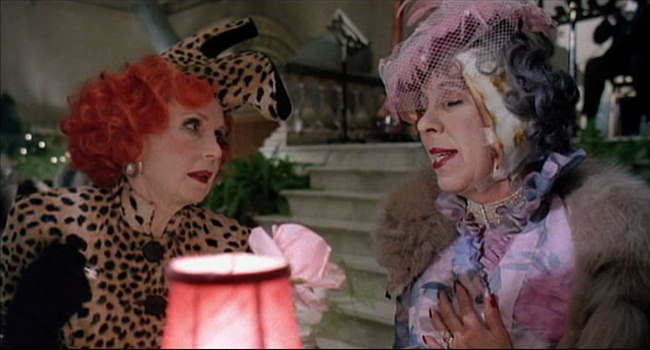 Gilliam clearly had a vision for this society, but I’m not sure it makes it onto the screen. Visually it fluctuates between brilliantly clever and thoroughly tacky, with some fantastic costumes and make up offset by cheap-looking miniatures and sets which look like sets. There are some scenes which are obviously shot in a factory cooling tower that could have looked effective if they’d dressed it up a bit. All this just makes it hard to get lost in. Elements of the grey, officious future are well imagined, however, and there are certainly a lot of neat ideas in there. Sam’s workplace looks like a Victorian London office transported to a poorly equipped but slightly more technologically advanced future. It’s like sci-fi Dickens, even if it does belong to a certain kind of camp, excessive science fiction like The Running Man or Demolition Man that was dead by the mid 90s. Visually it even shares something of Tim Burton’s Batman films (not least a director of photography) in a way that may not be to everyone’s taste. Originally intended to be part of our series on surveillance, it was excluded for being more about the dangers of over-reliance on inefficient systems to make life and death decisions than surveillance itself. Every action requires a signature on a form, and every formality must be followed. When a mistake is made, the main concern is whether procedure has been followed, and various government departments pass the buck between one another. These are certainly concerns which resonate today. Also resonant are the constant worries about cost and efficiency, in a hugely inefficient system. Our politicians often talk about targets, cost and efficiency savings in a way that is almost a parody of itself. In Brazil this obsession has become so great as to criminalise inefficiency, which emphasises what I mean when I say exaggerated attempts at satire become distracting. The security versus freedom debate is present here, but marred by the fact that in this future the terrorist threat is real, with frequent bombings that endanger lives. This limits the extent to which the government can be accused of fabricating a threat to give itself extra powers. Of course, the government appears to be totalitarian, but the terrorist threat is real enough to justify some more rigorous anti-terror measures than we are used to. The problem here is that the measures employed by the government in Brazil are ineffective, but considering how ineffective they are in other areas too, it could be that they are simply failing to perform a task properly rather than making a cynical attempt to increase their power at the expense of the population. Brazil does bring up some interesting themes, but is unfortunately weighed down by its excessive attempts to be satirical and its sheer absurdity. The ludicrous actions of the government stop them from being menacing like in the other films we examined, and even the strong performances can’t give this film the emotional anchor it really needs to resonate.